Welcome to the latest edition of my Beautiful Irish Brands series. Todays post is all about the wonderful Waxperts and the ladies who created It. Waxperts was formed in 2008 by friends and business partners Ellen Kavanagh and Trish O Brien. They started off and still are based in Dun Laoghaire Co. Dublin. Both Ellen and Trish are beauty therapists who solely specialise in waxing and client safety and hygiene which is why they have a 'no double dipping' policy that they and every salon that uses the wax abides by. 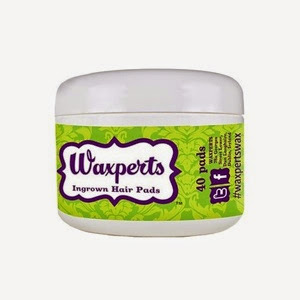 Waxperts have a number of products that include hot wax, strip wax, pre wax oil, after wax oil and finally Ingrown hair pads which I have reviewed for you today. Let me start off by telling you that I am the poster girl for ingrown hairs that go bad! I cant even count how many times I have had to visit the doctors in the last few years to get medication to reduce inflammation ect due to ingrown hairs. So when I was sent my ingrown hair pads I of course already had some that I could immediately begin testing on. One of the ingrown hairs I had was definitely making its way to being a doctor visit one. To use the pads you simply take a pad and rub over the area you want to treat after showering. I used the pads every day for 3 days to get rid of the ingrown hair which was inflamed to about the size of a marble on day 1. I really fell like im giving TMI on this but I think its really good to know just how much of a lifesaver these ingrown hair pads are. For me to be able to reduce an ingrown hair by just using a pad has been a bigger lifesaver than I can express. The pads have also meant that the ingrown hair has disappeared with no scarring or scar tissue which unfortunately I have too much of. Thank you Waxperts I will never again be without these pads and fingers crossed I will never again have to be subject to the pain of ingrown hairs, I am only sad that I hadn't found these sooner. They are also available on cloud10beauty and dolledup although the pads are so good that they are currently sold out in all of these places! Keep your eyes peeled for when they come back into stock I know I will. 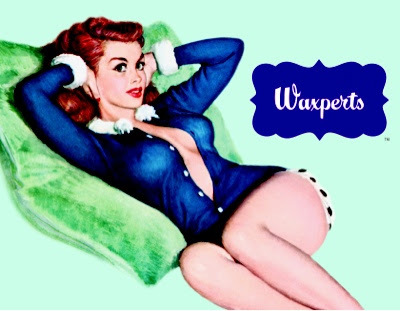 Have you tried any waxpert products or been waxed in a salon that uses their products. Let me know in the comments.